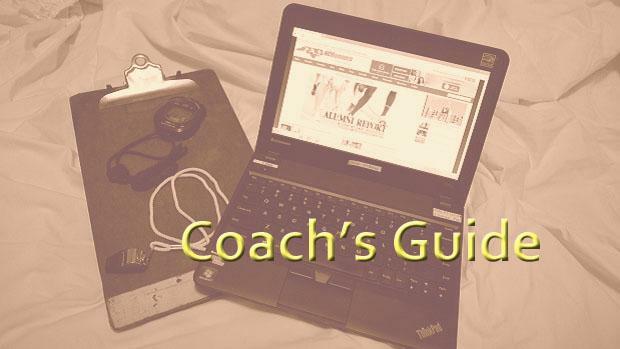 If you're new to using MileSplit, or you just want to find ways to be more efficient, check out the guides we've prepared. In order to make the time you spend using NCRunners as easy and productive as possible, NCRunners has a set of tutorials to guide you through the common and essential functions of the site. Many coaches are unaware of many of the time-saving administrative functions that are offered through the MileSplite system. You can manage your roster, keep track of all of your athletes' performances, maintain school records, and communicate with athletes and parents through the services we provide, and all of these services are completely free. As more and more meets (including the NCHSAA regionals) decide to use MileSplit Meet Registration to handle their entries, it may soon be possible to handle your entire season through NCRunners. Please take a few moments to read through the services we provide and a brief explanation of each of them, and please make use of the tutorials listed below. Finally, do not hesitate to email me (my address is at the bottom of each page) with any questions or problems you encounter during your use of the MileSplit system. When you really take the time to understand how it all works, I think you will find out how powerful and easy it can be. Coaches can add athletes to their roster, manage separate rosters for cross country and track seasons, and keep track of athlete performances using the Team Admin service. Make sure you enter a graduation year for each athlete (sometimes they are picked up from meet results). This serves two functions: athletes who have graduated will automatically be moved off your active roster, and your athletes will show up in the database for grade-level rankings now, as well as returning rankings in future seasons. If you submit results from your meets in one of the correct formats (guides for that will be published later this week), new athletes that are not already on your roster will be automatically added. Make sure to spell your athletes' names correctly, and use full names; this will help to avoid duplication of existing athletes. If you need to combine duplicated athlete profiles, email me using the address at the bottom of each NCRunners page. Coaches can add local meets to their team's schedule, and they will be added to the calendar as well. This can be done from the Team Admin page, and there are instructions and tips in the tutorial below. You can sign up for MileSplit Meet Registration for your own meets by going here and completing the appropriate form. The cost is 10 cents per athlete entered, with a minimum of $30. Entries taken through MileSplit are compatible with Hy-Tek, RaceTab, Raceberry Jam, LynxPad, RunnerCalc, and any system that can import a CSV file. The registration process works well for both cross country and track meets. As a coach, you can also enter meets that have decided to use MileSplit registration. This past track season, the majority of the invitationals in the state used the MileSplit system to handle their entries, and our registration system is used for all NCHSAA postseason meets (indoor state meet, spring and fall regionals).